While visiting The Menil Collection, Vik Muniz, creator of what he calls "photographic delusions," happened upon the museum's exhibition planning room, which contains a small-scale model of galleries filled with tiny copies of artworks from the permanent collection--museum curators use these models in planning installations. Fascinated, Muniz took digital pictures of the maquettes and, for the exhibition Model Pictures, held at The Menil Collection in spring 2002, enlarged them to the scale of the original works of art that they represent. 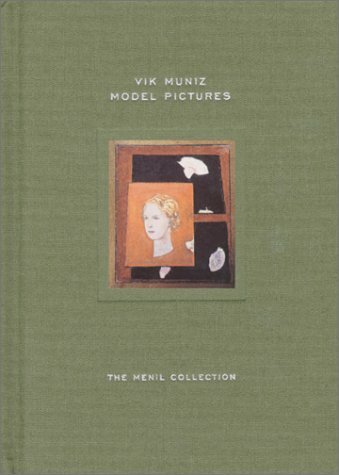 For the book Model Pictures, a conceptual extension of the exhibition, he shrinks his photographs of the maquettes to their miniature size, or 1:12 of the original artworks. Born in Sao Paolo, Brazil, in 1961, Vik Muniz moved to New York in 1983, where he continues to live and work. Known for his examinations of what happens as we continually reproduce works of art, Muniz has spent the last decade recreating and then photographing iconic works from modern and contemporary art, using such unconventional materials as soil, sugar, tomato sauce, chocolate, dust, and thread. One of two artists chosen to represent Brazil at the 2001 Venice Biennale, Muniz has been shown internationally, including solo exhibitions at the Whitney Museum of American Art; the Center for Creative Photography, Tucson, Arizona; the Museum of Contemporary Photography, Chicago; the International Center of Photography, New York; and The Metropolitan Museum of Art.